Our double-sided chalkboard display is perfect for a central location. 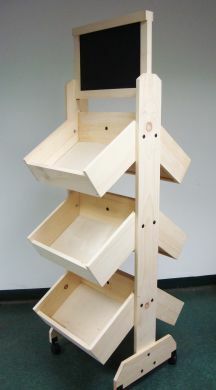 Made of sturdy pine, this display features casters, so it is easy to move even when it is already holding products. The chalk board allows you to easily draw attention to exciting new or featured products as well as sales.